The sun-drenched island of Mykonos has been considered one of the most elegant island holiday destinations in Greece. For years, Mykonos has welcomed the jet set and gained its reputation as a celebrity bolt- hole. The blue-crystal water and the peerless beaches are part of its charm, along with the meltemi, the strong, dry north wind of the Aegean. 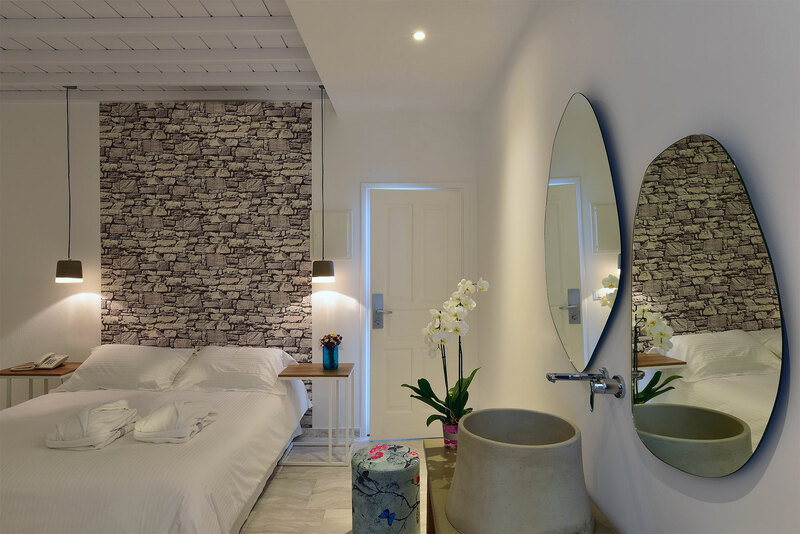 Hermes Mykonos Hotel is a sea side retreat looking out the Aegean azure sea and the town of Mykonos -so called Chora- laid out just 5 minutes uphill from the town. The hotel’s architecture reflects the traditional elements of the local culture and surroundings and combines them artfully within beautiful contemporary interiors. The property has been tastefully refurnished to the highest standards featuring details which are characterized by a chic preciousness. 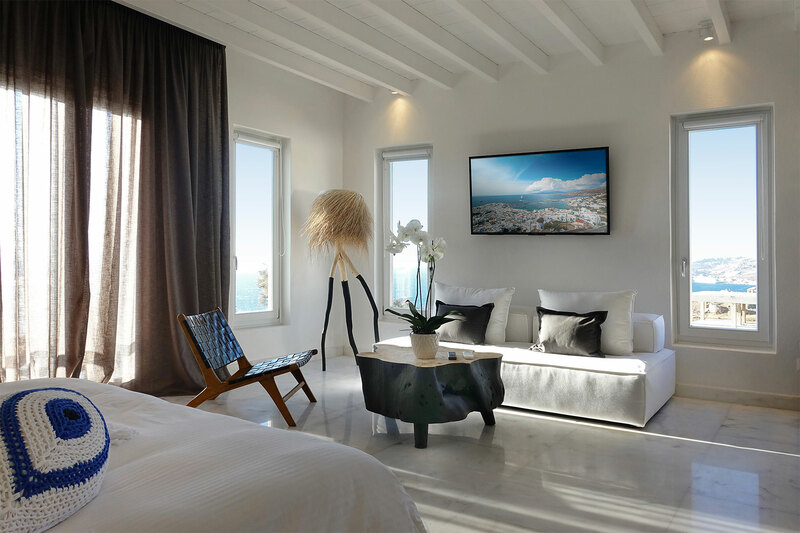 The glorious surroundings of clear blue water and the spectacular views over the town and the sea offer visitors a taste of Mediterranean serenity in sun-kissed Mykonos.